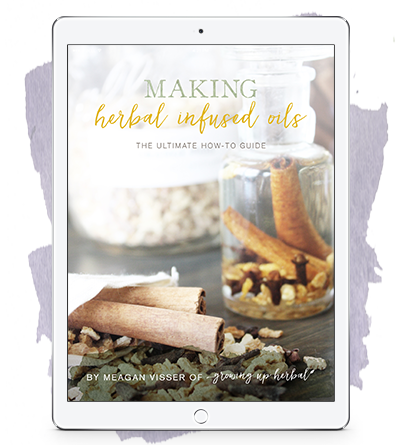 Making Herbal Infused Oils: The Ultimate How To Guide was written as a teaching resource for those looking to learn all about herbal infused oils… start to finish. Gone are the halfway how-tos that vary from blog to blog, remedy to remedy. In this guide, you will find everything you need to know, understand, and make herbal infused oils all in one place. Here you will get a thorough overview of the different methods and processes to infusing herbal oils. Each of these can be used to create different qualities and strengths of infused oils. There is no right or wrong here. Everything is totally based on one’s preference and circumstances. Not only will you learn how to make various types of infused oils, but you’ll also learn who these oils will benefit, how to use them, how to source quality ingredients, and you’ll get 5 of my very own herbal infused oil recipes that are great to have on hand for children. Are you looking to get started making your own herbal infused oils? Making Herbal Infused Oils: The Ultimate How To Guide is an easy to read, 26 page digital guide that teaches you all about infusing herbal oils. This guide is NOT for you if you’re looking for a quick how-to on infusing herbs into oil. CLICK HERE to view my free page that teaches you how to make a quick, simple herbal infused oil. This guide IS for you if you’re looking for a thorough understanding of herbal infused oils, how to make them, and how to use them, alongside some tried and true infused oil recipes. I know what it’s like to want to do something new that you’ve never done before. You start searching for information online, but you just aren’t sure of what’s best or right as you keep coming across various methods and opinions from others. You don’t want to waste your time. You don’t want to waste your money. You certainly don’t want to end up with a product that is sub-par and not going to give you the results you were looking for. I know because I’ve been there, and that’s why I’ve decided to create this simple how-to guide so that I could put all this great information in one nice, neat package that’s easy to access. Whether you’re looking to use herbal infused oils for yourself and your family, or you’re looking to make and sell these quality oils, this guide will set you up and get you completely prepared to make the best infused herbal oils you can make! Meagan Visser is a Registered Nurse turned SAHM to 3 small boys. Since having children she has fallen in love with living a simpler, more natural life. She is a family herbalist that is passionate about herbs and is an aspiring master herbalist. 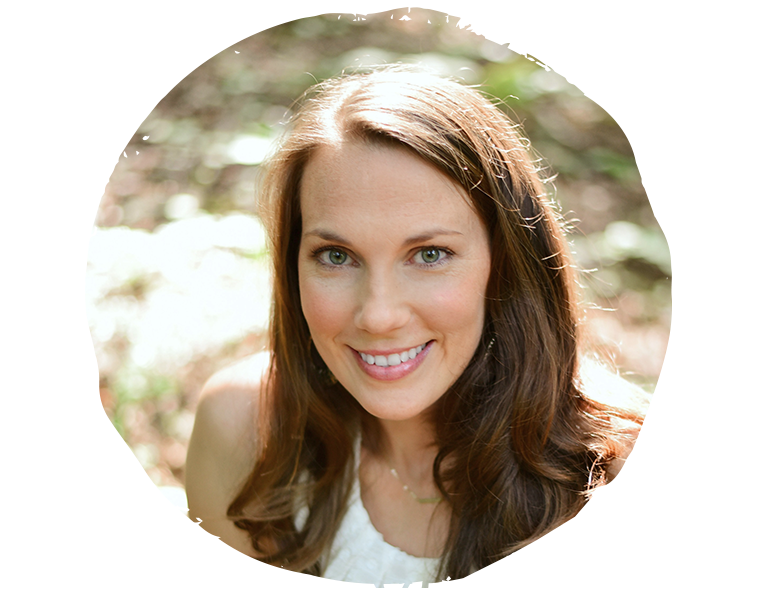 With her background, Meagan has delved into both worlds, the modern medical world and the traditional natural world, to find the best ways to work with a child’s body so that it can do what it was made to do without suppressing it or causing unwanted side effects. After your purchase has been completed, you will receive an automatic email containing a link to a page where you can download the eBook. Sometimes these emails wind up in spam folders, instead of your inbox. Before you worry that you didn’t get the email, make sure you take a good look at your spam folder first. Once you download your eBook, make sure you save to your computer so you can read it anytime you want. Also, if you are using Paypal to order, be sure to note the email address of the Paypal account you are using. The email automatically goes to that email address. If for some reason you do not have access to that Paypal email address, please email me at meagan[at]growingupherbal[dot]com, and I will personally email you my eBook. Can I download this eBook on my iPad or iPhone? Absolutely. But, note that eBooks are sold as .PDF files and may appear slightly different (text may be smaller) in various readers. For Kindle, you can use the “Send to Kindle” app. It works on PC or Mac. It can send the eBook (once it is downloaded) to your Kindle app on your Apple device (ie. iPad or iPhone), Android device, or Kindle. Visit this tutorial for further instructions. How long will my download link work for? The links in your purchase email will be available to you for ONLY 4 days. Please download all of your e-books right away and save to your computer. Can I share this eBook with my friends or family members? My ebooks are copyrighted. Your purchase does not entitle you to share the files or upload them anywhere online where others can access them. Sharing e-books is theft and steals from me as an author who works so hard to create these wonderful resources, so please make sure that you respect my copyright. If you would like to be an affiliate for my e-books, please click here to sign up. Because of the nature of digital products, I don’t offer refunds for my courses or e-books at this time. Your purchase is very important to me and much appreciated as it allows me to keep this blog running and bringing you free content throughout the week!